You may have never seen your cat or dog lying in bed with a box of tissues while licking away at menthol lozenges, but pets can come down with a respiratory infection just like you. If your pet become under the weather, help get them back on their feet with Lung Gold for Pets from Pet Wellbeing. 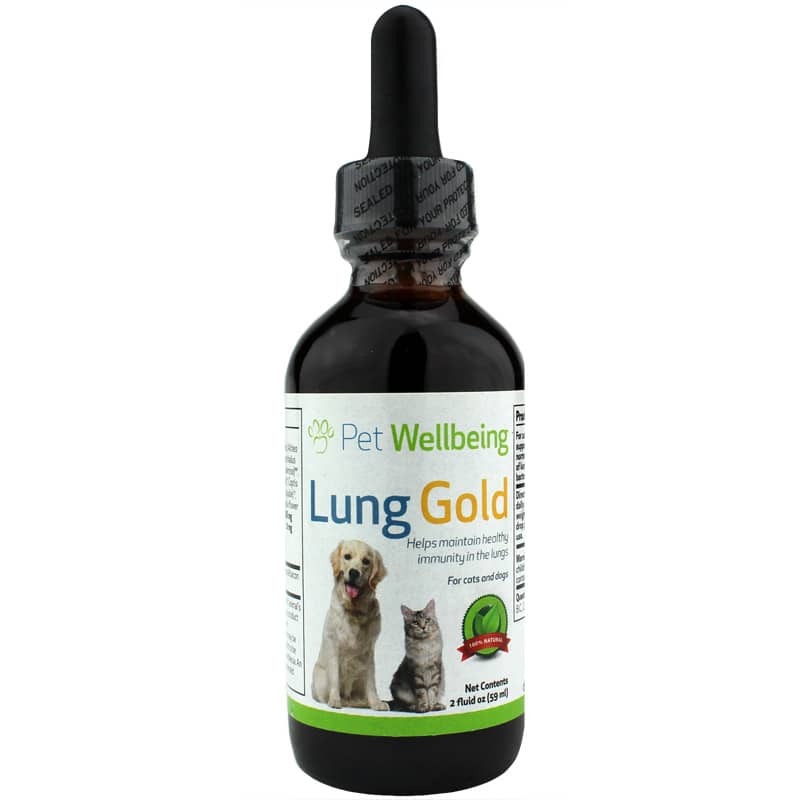 Lung Gold is a 100-percent natural herbal supplement designed to help maintain healthy immunity in the lungs for both cats and dogs. Developed by Pet Wellbeing's team of holistic veterinarians, Lung Gold contains health-supporting herbs and vitamin C to help maintain your pet's respiratory health by supporting their immune system. This blend of natural ingredients is versatile and suitable for an array of conditions with similar symptoms to help your pet feel her best no matter what she comes down with. For optimum quality, Pet Wellbeing products are made using certified organic and ethically harvested herbs under Good Manufacturing Practices where each and every batch is tested for quality and potency. Breathe easy about your pet's respiratory health. Order Lung Gold. 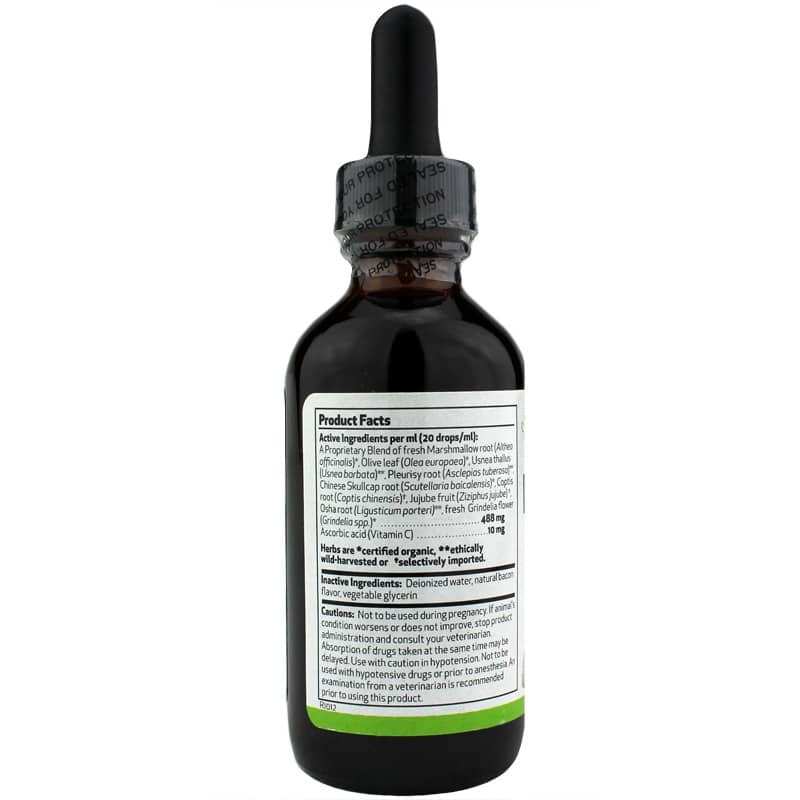 Administer product orally twice daily. 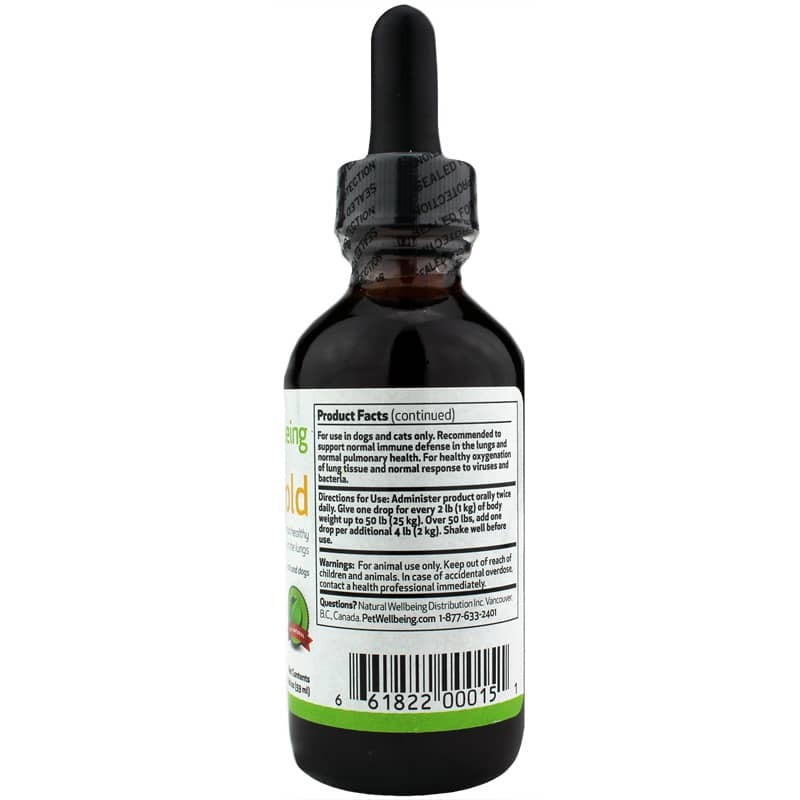 Give one drop for every 2lb (1kg) of body weight up to 50lb. Over 50lb, add one drop per additional 4lb (2kg). Shake well before use. Does not require refrigeration. Not to be used during pregnancy or nursing. If animals condition worsens or does not improve, stop product administration and consult your veterinarian. Absorption of drugs taken at the same time may be delayed. Use with caution in hypotension. Not to be used with hypotensive drugs or prior to anesthesia. An examination from a veterinarian is recommended prior to using this product. For animal use only. Keep out of reach of children and animals. In case of accidental overdose, contact a health professional immediately. We had tried 2 different antibiotics, and neither worked on my dog's coughing and wheezing. I had come across this product, and started it working immediately. After a few days, her symptoms were gone. I would highly recommend using it.